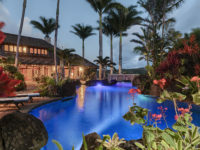 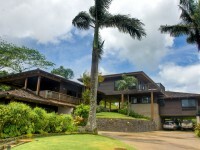 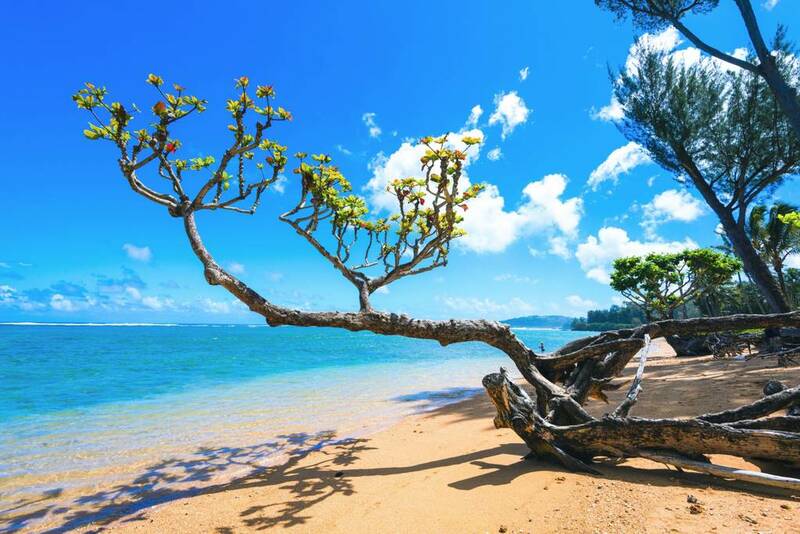 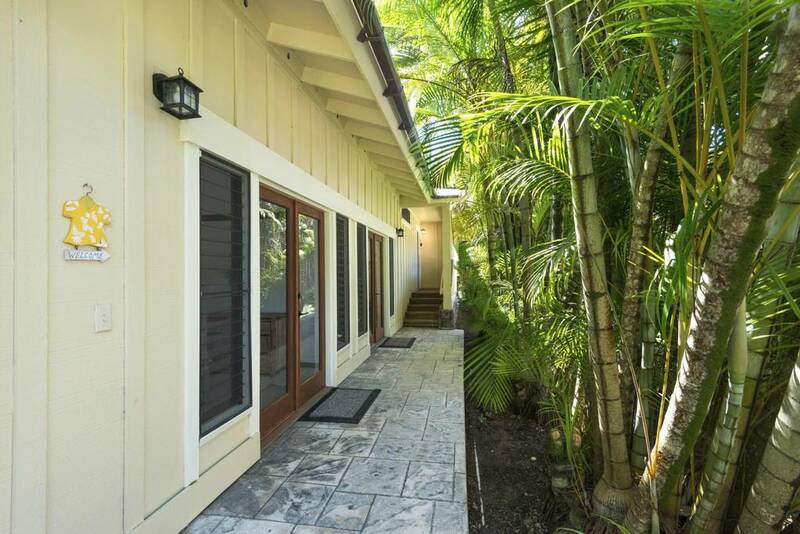 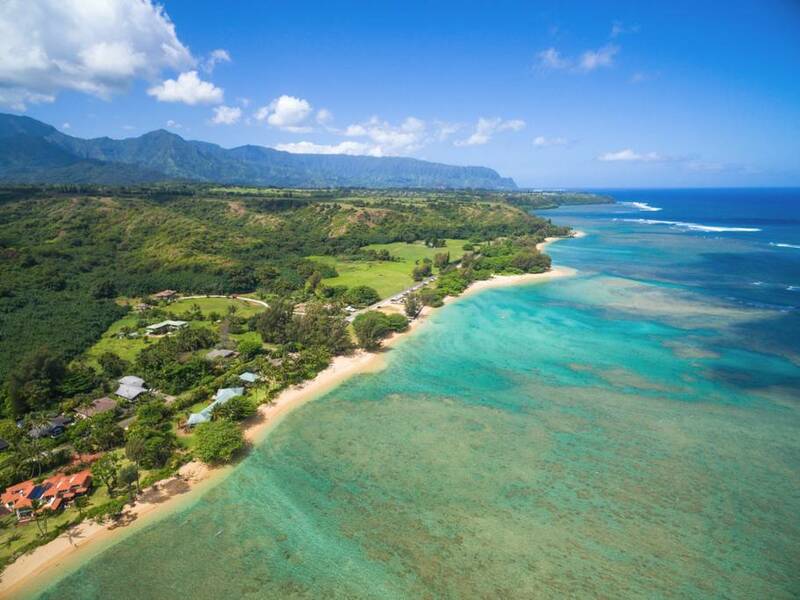 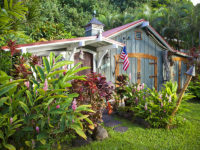 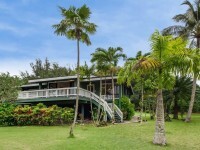 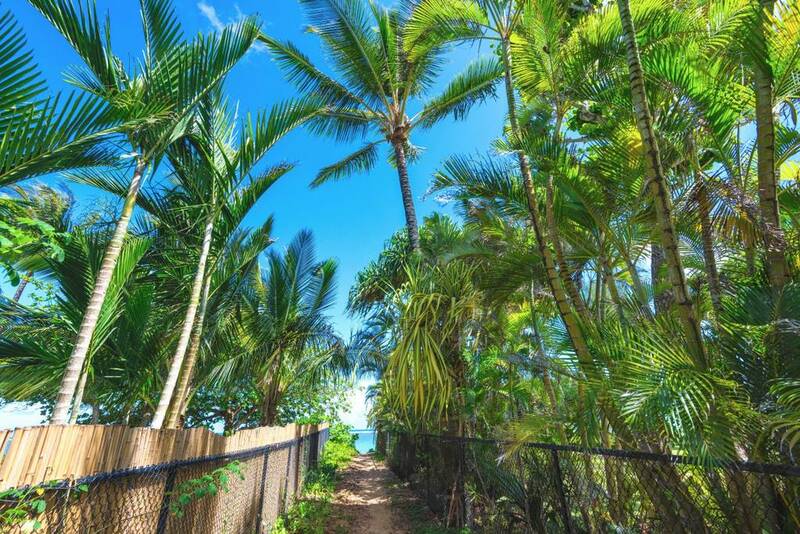 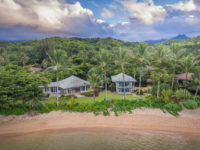 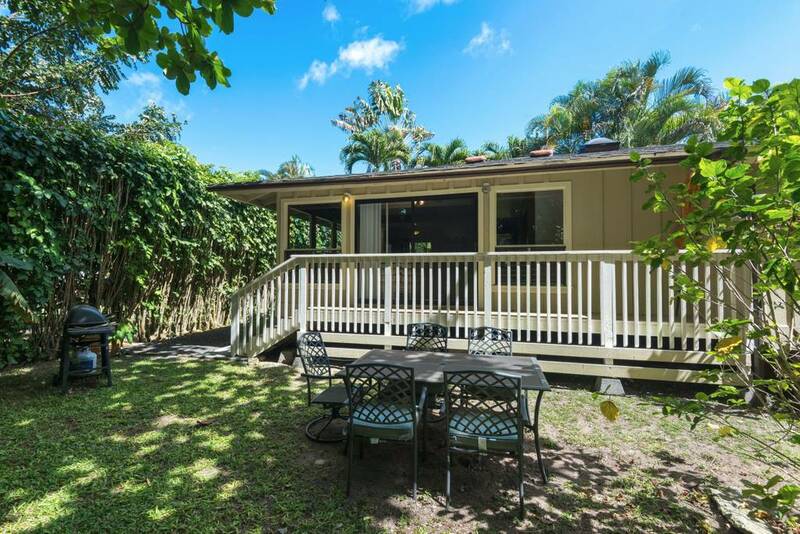 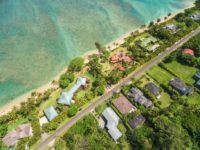 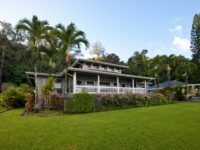 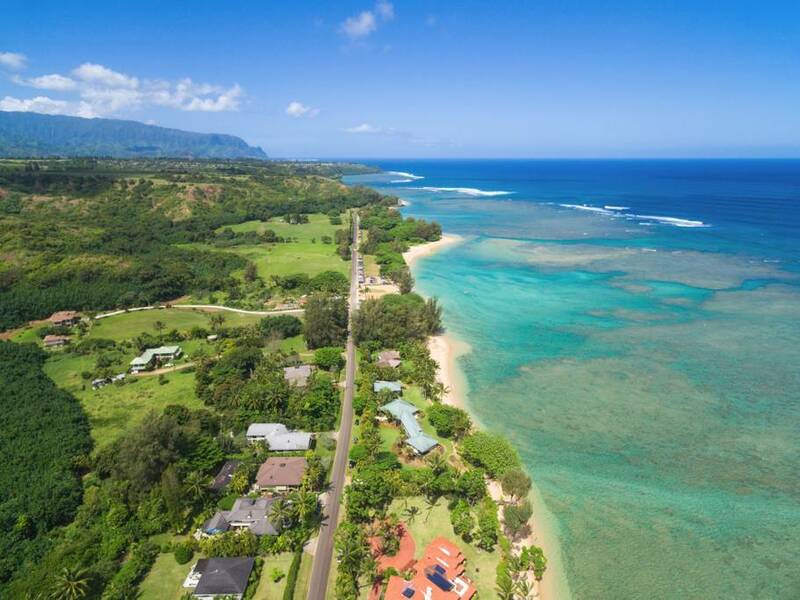 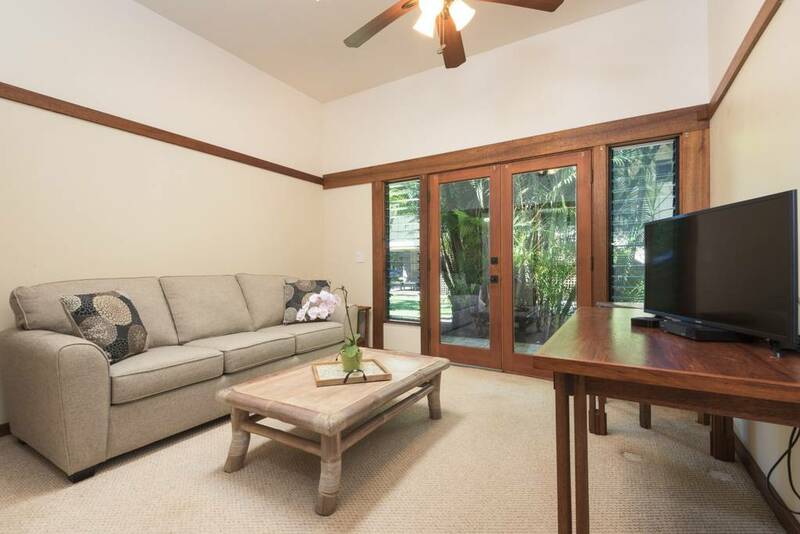 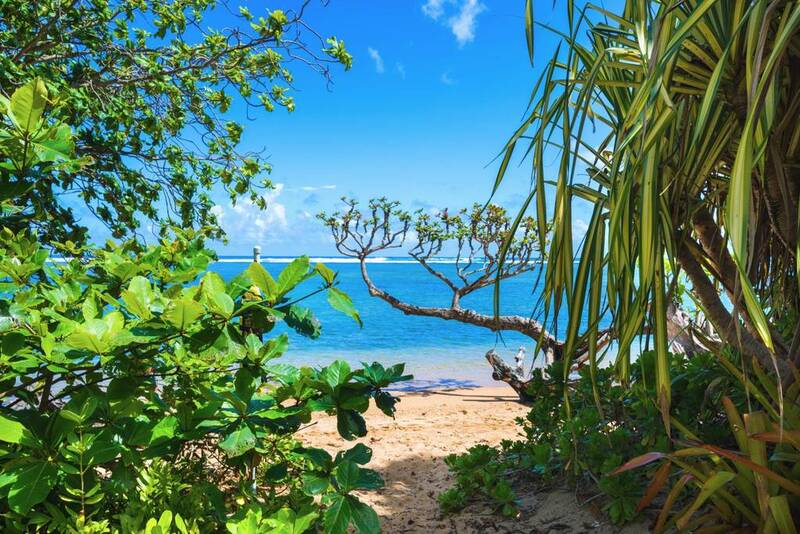 ANINI BEACH, KAUAI VACATION RENTALS: The charming Anini Ohana Cottage — Beach Nestled between a private beach access (85 steps away) and 1500 acres of naturally preserved land, this guest house to the main Anini Pohaku home is no ordinary cottage experience. 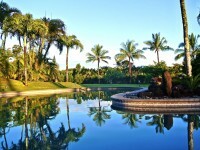 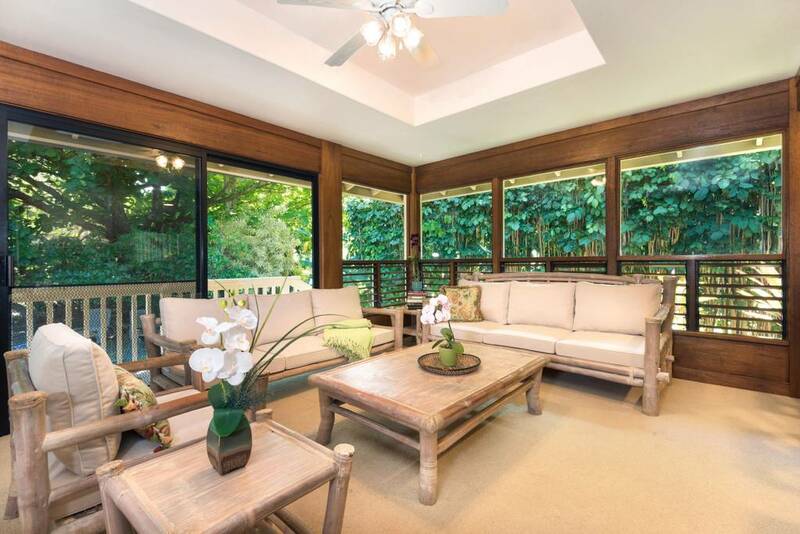 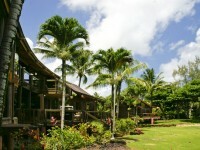 Beautiful rain forest views can be seen as you enjoy this private 2 bedroom, 2 bath experience. 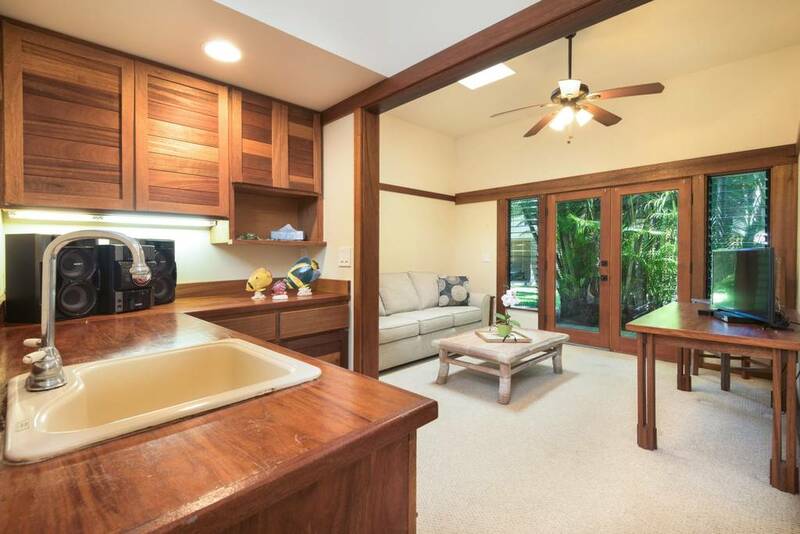 One half of the cottage has a queen size bedroom, closet, walk-in tiled shower with an outdoor experience, private entrance to the back and front of the house and it’s own wet bar. 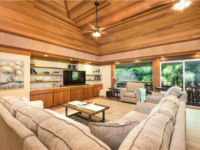 Included in this part of the home is a separate sitting room with outside access, which holds a TV area and an additional queen sleeper sofa for 2. 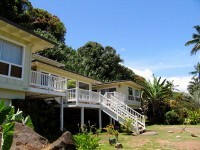 The other half of the cottage holds a queen size bedroom, full shower/tub bathroom, living area and the kitchen. 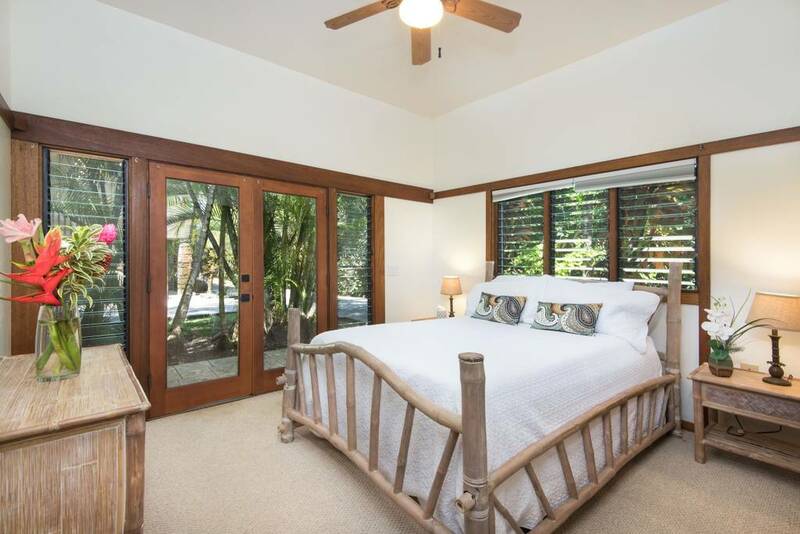 There is a door that can be closed to separate off the two areas of the home for increased privacy. 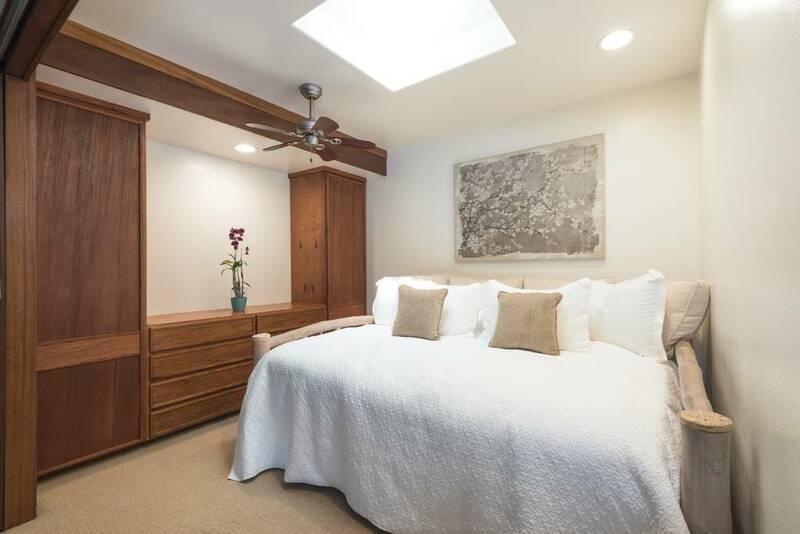 Fans can be found in each bedroom for added comfort to help on those warmer days. 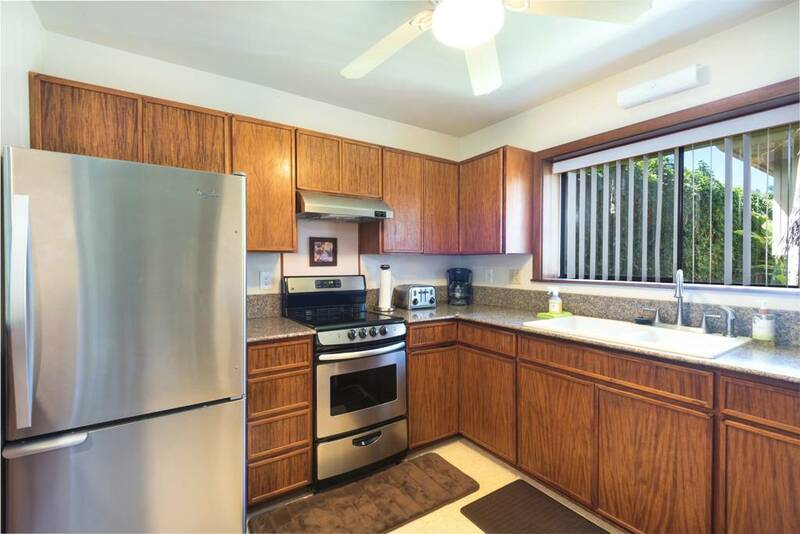 The newly appointed kitchen features original Koa wood cabinets, granite counters and stainless appliances. 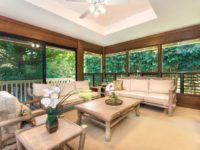 Dine at the 4 seat kitchen bar or venture outside to the natural and tropical dining area for 6 and barbecuing in the rainforest.